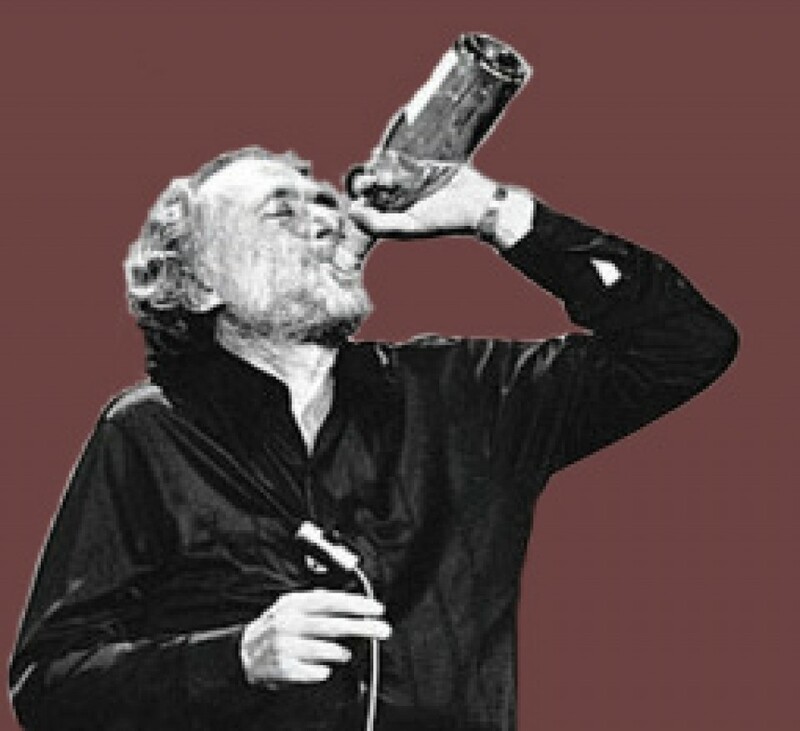 wine cooler – Would Bukowski Drink It? Store your wine selection in the beautifully crafted NewAir AW-281E 28 bottle single zone stainless steel wine cooler and enjoy superior results. This single zone wine cooler offers a sleek, compact design to complement home decor and custom storage options for personalized use. Featuring thermoelectric cooling, this cooler operates quietly and is vibration free for the best possible results. Interior Light – Show off your wine collection with the NewAir AW-281E wine cooler, which features a built-in LED light. It also increases visibility, making it easier to find the bottle you are looking for in your collection. 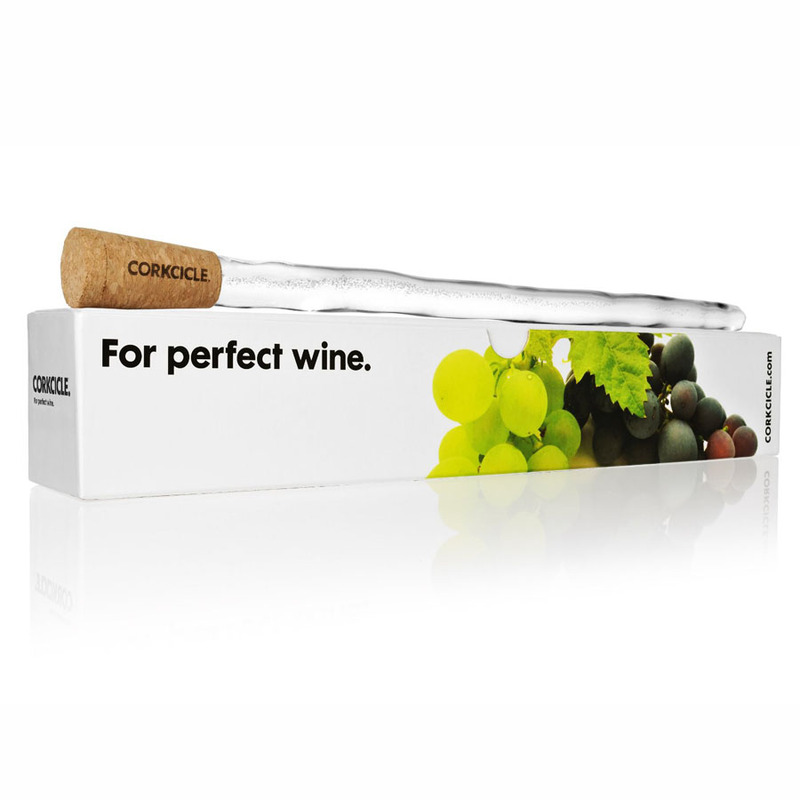 Increased Insulation and UV Protection – Protect your wine from UV damage with the double paned glass window. This also offers increased insulation properties for improved temperature control. Stylish Design – This wine cooler features a sophisticated look with a black cabinet, stainless steel trim and chrome plated racks. Thermoelectric Technology – The NewAir AW-281E wine cooler offers a thermoelectric cooling system with few moving parts. This results in quiet operation and less vibration. I picked up this 28-Bottle Wine Fridge on sale on Amazon.com. Amazon Prime gave me free 2-Day shipping which rocks when your main car is a convertible VW Bug whose trunk is smaller than your average laundry basket and whose backseat is likewise small. Buying retail might have required another vehicle (or at least the top down) just to get it home. The NewAir AW-281E is compact, efficient and very quiet. It fit perfectly under my kitchen island counter after removing the screw-in feet, meant for leveling, since I neglected to realize 29.2 inches and 29 inches are two totally different things. As you can see from the picture above the Wine Cooler features 6 shelves to store your wine in addition to the bottom of the fridge for the 7th row. My only gripe is that the shelves allow for your average grocery store bottle of wine but some wider bottles made fitting four bottle on a shelf a little bit of a challenge. Fitting four champagne bottles on a shelf in addition to 20 bottles of wine required a shelf to be removed and some balancing of the bottles of bubbly on their shelf. So in the end I am only able to fit 24 bottles at this time. The NewAir AW-281E Wine Cooler is very quiet. I barely notice it running when the compressor turns on. It’s stayed at 54 F with very little fluctuation. 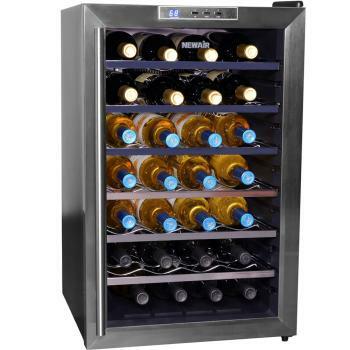 If you do prefer your reds at a lower temperature, to properly store your wine and to keep whites adequately chilled (pop them in the fridge for 5-10 minutes if you like them cooler), this is a great wine cooler in the $200-$300 range. Would Bukowski use it? A fridge just for wine? What the hell is that all about?